My name is Steven and I am the owner/operator of Elite Appliance Repair. I have been an appliance technician in the valley for 10 years. I have extensive experience working on most makes and models of appliances. I enjoy what I do and great customer service is something that I always strive for. A satisfied customer is a repeat customer! ﻿We are a family owned and operated appliance repair company based out of Glendale, AZ. 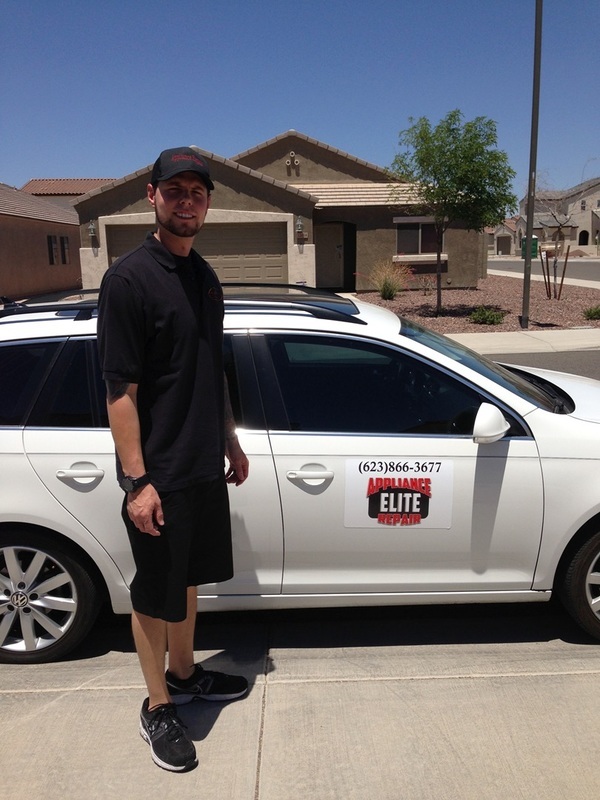 At this time, we are servicing all of the West valley, Scottsdale, Tempe and surrounding east valley areas. We repair all major appliances - washers, dryers, refrigerators, microwaves, ovens, dishwashers, cook tops and garbage disposals. All major brands are repaired - Admiral, Amana, Bosch, Crosley, Estate, Fisher & Paykel, Five Star, Frigidaire, Galaxy, GE, Gibson, Hot Point, Kirkland, Insinkerator, Jenn Air, Kelvinator, Kenmore, Kitchen Aid, LG, Magic Chef, Maytag, Norge, Panasonic, RCA, Roper, Samsung, Sanyo, Sharp, Speed Queen, Sub Zero, Tappan, Toshiba, U-Line, Westinghouse and Whirlpool. All repairs come with warranty - Same day service!